Anyone who has lived in Richmond for any length of time has seen vast changes happen. For 47 years, I’ve lived in Richmond – so I’ve seen a lot of changes. Because I’ve been involved in the community for all those years – as a volunteer, a coach, a referee, an advocate and, since 1993, as a city councillor, I take particular pride in many of the changes that have happened. While much has changed, one thing has remained constant: The commitment to excellence in infrastructure. One of the secrets to Richmond’s success is a simple yet brilliant idea originated by Bob McMath after he returned home from the Second World War. His idea was to maximize the impacts of community infrastructure by combining schools, parks and community centres so that the facilities could be better utilized around the clock and throughout the year by students, sports teams and the public. It is one of those common sense ideas that is, for some reason, surprisingly uncommon. Across the decades, Richmond councils, with the support of residents, have consistently invested in creating, maintaining and upgrading our community infrastructure so that our city boasts among the highest proportion per capita of excellent sport, recreation, educational and community facilities. While some politicians try to score points by depicting property developers as bad guys, we also owe a great deal of thanks to these businesses who (with no small amount of pressure from City Hall) have committed billions of dollars to amenities that we all use and enjoy. Some people over the years have dubbed me “Mr. Sport” and “Richmond’s Man in Motion” because I’ve been an Olympic coach and administrator, a track and field coach and meet organizer, a founding member of the Richmond Sports Council, and a leader on many sport and community initiatives in Richmond. In these roles, I have had first-hand experience with the facilities in Richmond and in other cities across Canada and around the world. I can say without fear of contradiction that we are the envy of most communities. These superb recreational and sports facilities are among the reasons Richmond residents enjoy some of the longest life expectancies in Canada. In just the past four years alone, Richmond has added to the number and quality of these facilities by leaps and bounds. We have incorporated the vision of Bob McMath and so many others who came before us. 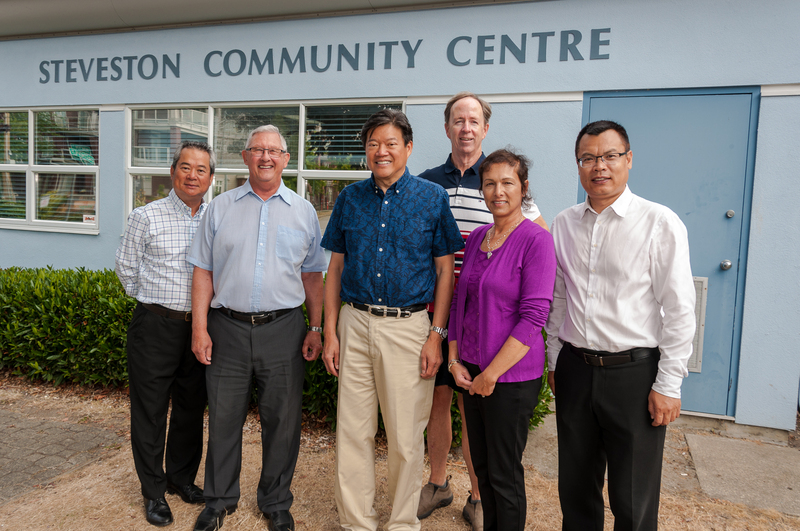 The city will open a new seniors’ centre, a new aquatic centre, new community centres in Steveston and downtown north, a new lawn bowling clubhouse, a community soccer centre, and a myriad of other infrastructure projects, like new fire halls, an animal shelter and childcare facilities. These investments – wise, value-based, community-strengthening use of taxpayers’ money – have helped define Richmond as one of the optimal places in Canada to live and raise healthy, happy families. As Richmond residents consider our choices in the October 20 civic election, I urge everyone to reflect on the positive impact these crucial infrastructure investments have on our everyday lives and vote for the candidates who will continue to make the correct positive choices for our future. Please vote for Bill McNulty and the Richmond First team of candidates. Wise, value-based, community-strengthening use of taxpayers’ money have helped define Richmond as one of the optimal places in Canada to live and raise healthy, happy families. On October 20, vote for Bill McNulty to keep this great city on the right track! What makes Richmond so livable?